You might have noticed all of the techniques I've outlined set up the images for being colored in RGB mode. However, for professional offset printing files must be in CMYK mode. In fact, many colorists prefer to color directly in CMYK mode. Do you convert the image to CMYK before or after coloring? This is a hotly debated topic amongst colorists. RGB stands for Red, Green and Blue, for the three channels that all the colors are divided into. RGB is the native color mode of computers, allowing them to display 16.7 million colors. CMYK stands for Cyan, Magenta, Yellow and Key (otherwise knows as black), for the four channels used to define color for printing. Despite using four channels instead of three, CMYK color represents a smaller number of colors --those which can actually be printed. Needless to say, all images destined for print need to end up in CMYK format. A problem arises because many of the brighter, highly saturated colors of RGB can't be represented in the four color print process used in comics. The colors are called "illegal colors" or "out of gamut" colors. So when an RGB image is converted to CMYK it often becomes duller, or the colors shift slightly, because illegal colors are converted by Photoshop to their closest mathematical legal neighbor. So why not just color in CMYK all the time to avoid any unwanted color surprises? 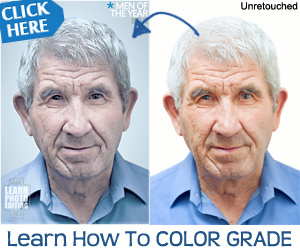 CMYK purists argue that it's the only way to ensure accurate color. 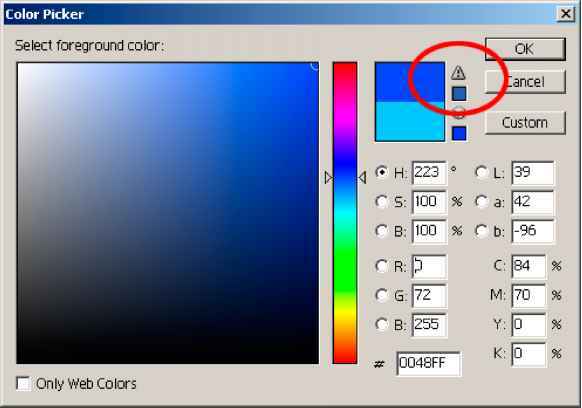 RGB enthusiasts contend that since the monitor is an RGB device, viewing a CMYK document isn't an accurate representation either. Regardless of your position, what we should stay focused on is reproducing accurate color, regardless of the mode. I've found that coloring in CMYK mode is pretty accurate. CMYK mode forces you to see and use only print-legal color. However, CMYK documents are 25% larger, making them a little slower and more difficult to work with. CMYK also limits the number of tools and filters Photoshop can use. Since converting to CMYK is a lossy translation (meaning once you've done it some of the data in your image will be lost or permanently altered. It's generally agreed you shouldn't go back and forth. So, if your image demands the most color accuracy possible and you have the RAM and hard-drive space to deal with it, coloring in CMYK mode may be your best bet. In the interest of being complete, I will outline this more advanced method as well, but in a supplemental chapter. Be warned, the technique is more complicated and a lot more can go wrong with it. Illegal colors are indicated in the main color picker menu by a small triangle with an exclamation mark in it. If you see this symbol the color you have selected is out of gamut and won't appear exactly as you see it in CMYK mode. If you click on the symbol the color picker will show you the nearest legal alternative! Are comics done in rgb or cmyk? Does comic use rgb or cmyk? When printing comics what is best cmyk or rgb? Do comic colorers use rgb or cmyk?